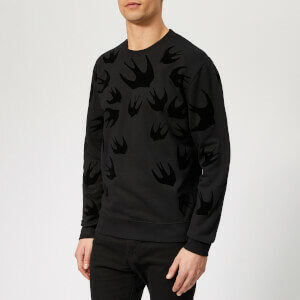 Black cotton track bottoms from McQ Alexander McQueen. 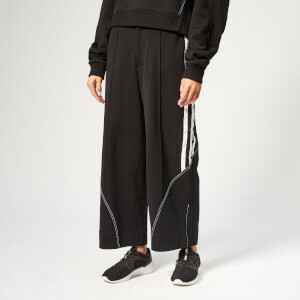 The cropped sweatpants showcase a sports-luxe design with a drawstring waistband, side pockets and contrasting taping along the leg with repeated logo branding. Two decorative pockets feature to the reverse.